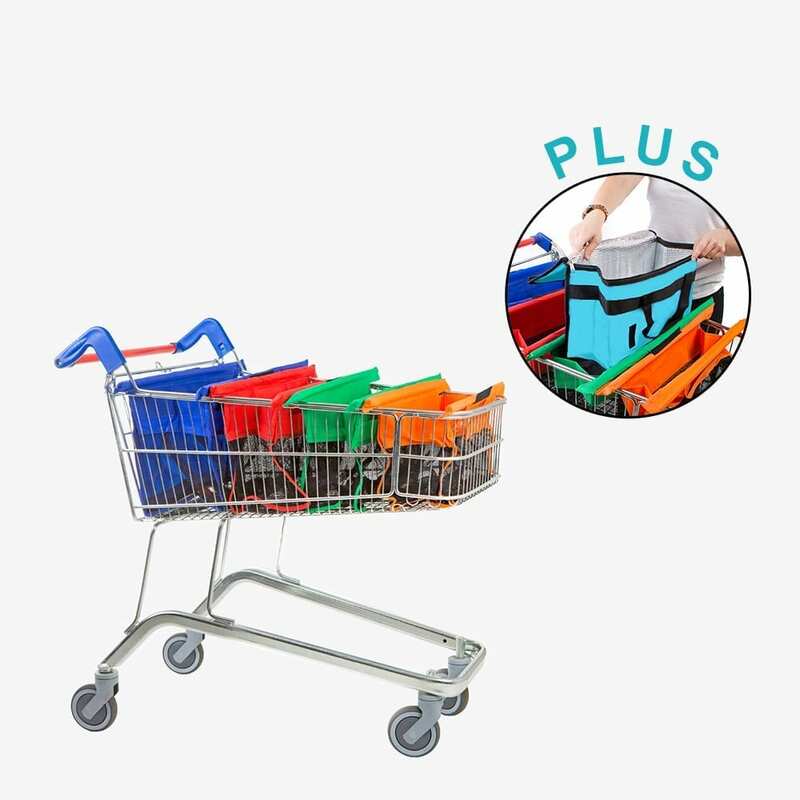 Trolley Bags Express are sized perfectly to fit the shallow shopping trolleys and ideal for customers who do smaller food shops, Trolley Bags Express Pastel can halve your time at the checkout with faster and more convenient packing. 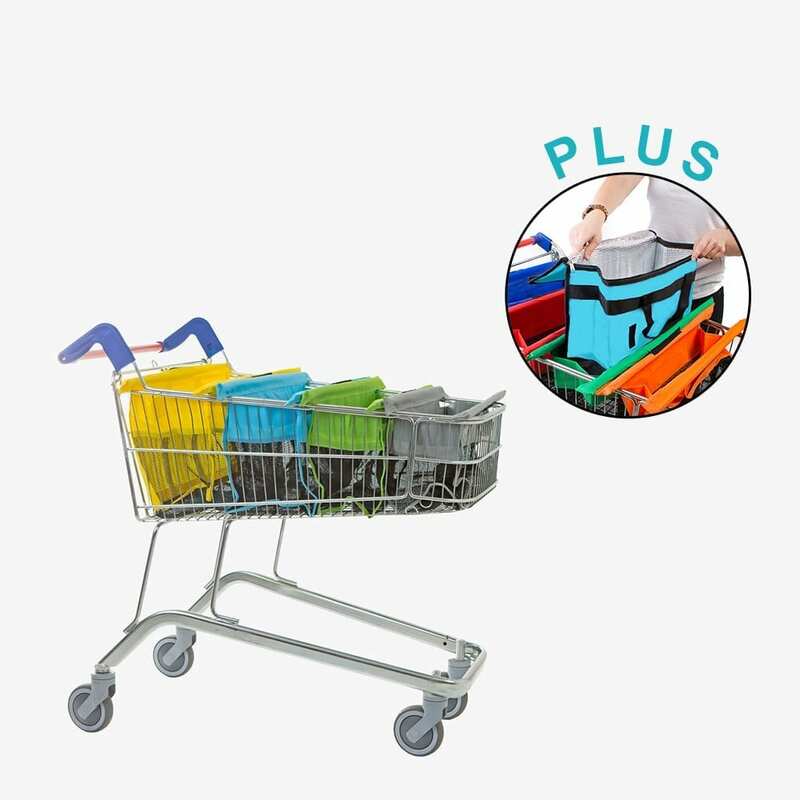 Whether you ‘Scan as you Shop’ or pack at the checkout, in one simple action the Trolley Bags system spreads out a shallow supermarket trolley, giving you a series of open and upright bags into which you can pack and sort your shopping with both hands. The future is a simple system of bags that makes the supermarket chore easy, quick and convenient! 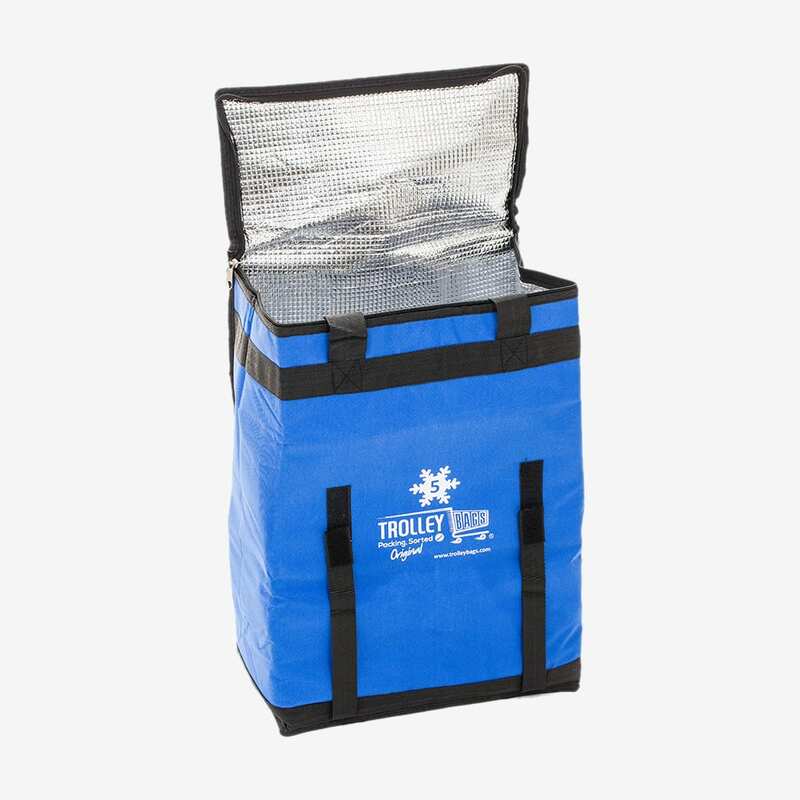 Trolley Bags Express Cool is designed to fit perfectly into Bag 2 of the Trolley Bags Express Sets. 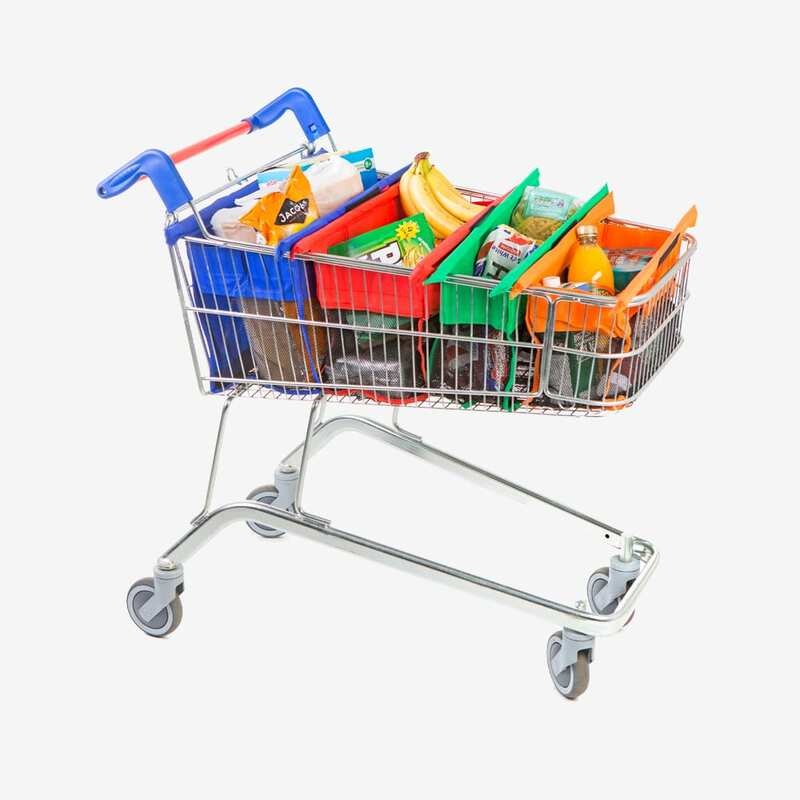 It rolls up into a neat package for you to take into the supermarket with your Trolley Bags Express. Once you’ve open your Trolley Bags Express at the checkout, place Trolley Bags Express Cool into Bag 2. You now have an insulated bag you can fill with all your cold items. Once full, the bag can be zipped up and removed from the trolley with the Bag 2 handles. After use, the Trolley Bags Express Cool can be easily folded back up, ready for your next shopping trip.